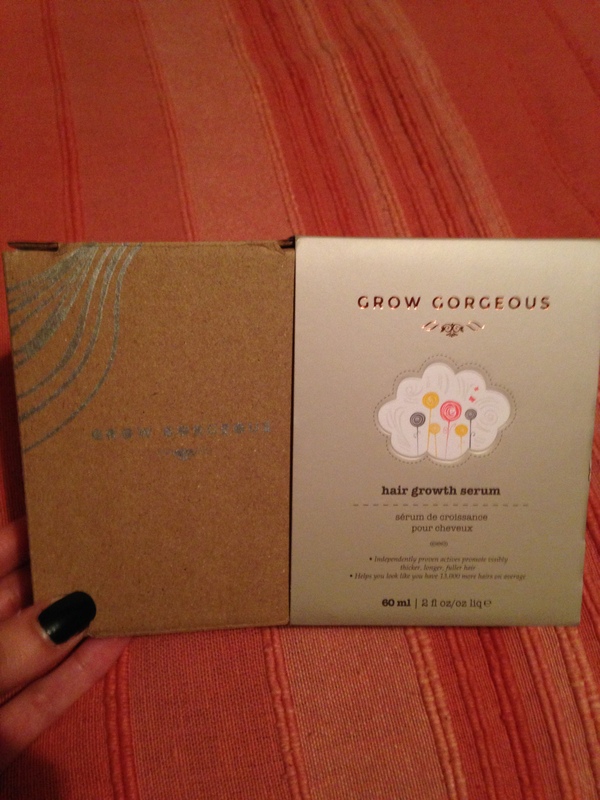 Grow Gorgeous serum un boxing. Inside the packaging is a small bottle and pipette. I’m back with my latest instalment here on The British Fashion Notebook, and as promised it is about my newest hair venture that I am testing out to see if it really works. I’m talking about the product GROW GORGEOUS made by the company Deciem. Now this hair serum states that the serum promotes visibly thicker, longer, fuller hair and helps you look like you have 13,000 more hairs on your head. Amazing! As soon as I saw this on the Boots website I had to get it to try it out. So firstly, I should probably tell you a little bit about my hair. I have been using the No Poo shampoo method for some months now, and I have found that my hair is in better condition that it used to be. There is a little more movement to it, and when its’ dried it looks a little fuller. I can also get away with only washing my haired every 4/5 days. 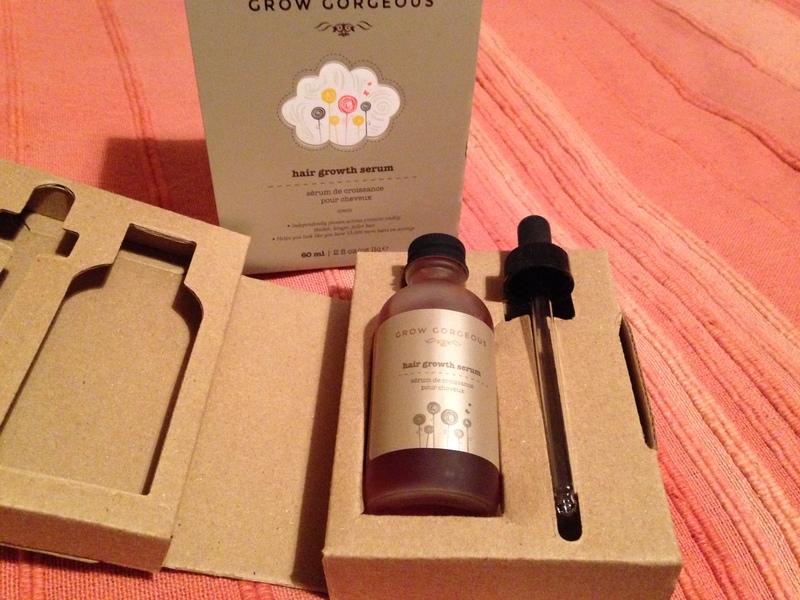 However, my hair still gets very limp and boring, which is why I thought to try this serum out. It is responsible for stopping hair loss and further stimulating hair growth. It also helps the hair to anchor itself in the hair follicle to help prevent fallout. Clover Flower extract, also known as Trifolium Pratense, and has been traditionally used in preventing hair loss and is known to improve the hairs strength and elasticity. Pea Sprout extract has the ability to increase the number of hairs in the anagen phase(where the hair is actually growing whilst reducing the number of hairs in the telogen phase(your hair is still attached to your head but it has stopped growing. It will shed and new hair will begin to grow again). Stimulates new hair growth for fuller, thicker and shinier looking hair. Sprouts contain a lot of vitamin C which is proven to promote healthy hair growth and helps to keep hair from becoming brittle and thin. It provides healthy, lustrous hair and a moisturised scalp. HPA is one of the most hydrophilic molecules (water-loving) and is known as nature’s moisturiser. So now that we know all the ingredients in the serum, next step is the application process. It says that you need to apply 20 drops of serum no to the scalp once a day, either morning or evening. Then massage the serum in until it is fully absorbed. Each bottle supposedly lasts 2 months, so I guess I’ll have to see how I get on with that. The smell is quite subtle, almost reminds me of mens cologne but not as pungent and I quite like it. I’ve only been using it for 2 days, and so I of course won’t have noticed anything yet, however, I will update in one month as to whether I have noticed any significant changes to my hair. Hi there,I just want to know the progress on your hair after using the serum.